Join us in welcoming our new members who joined in recent months. We would like to take this opportunity to help you get to know these institutions better. Sia’atoutai Theological College (STC) was established in 1948 by the Free Wesleyan Church. Approximately 200 students attend the college to earn a Bachelor of Divinity degree or a Certificate in Theology and Pastoral Ministry. The library holds significant collections of religious texts in Tonga. 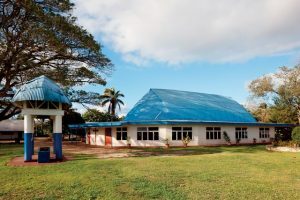 STC is also a member of the South Pacific Association of Theological Schools, a regional ecumenical and accrediting organization in Oceania. Founded in 1921 by the Benedictine Sisters as Villa Madonna College, Thomas More University (TMU) is a Catholic liberal arts university. Originally founded as a women’s’ college, men attended many of the classes at Villa Madonna and in 1945 it was established as a coeducational college. TMU now serves over 2,000 students. The Benedictine Library provides resources and services to TMU students, faculty, and staff, and houses the Thomas More University Archives and special collections. One of the special collections includes the Mendel Collection, which contains 19th-century documents relating to the life and work of scientist and friar Gregor Mendel. In 1999, Wave Leadership College (WLC), then known as the Life Leadership Training Center, began as a training program led by the pastors of Virginia Beach Christian Life Center. WLC offers an Associate of Ministry degree, with concentrations in pastoral leadership, management, Christian scholarship, worship leadership, or media & arts. The WLC Library offers students, faculty, and staff a place to study, write, and conduct research. Not a member? Learn more about joining the Association.